When I visited Israel, the one place that made an emotional and spiritual impact on my life was the Garden of Gethsemane. 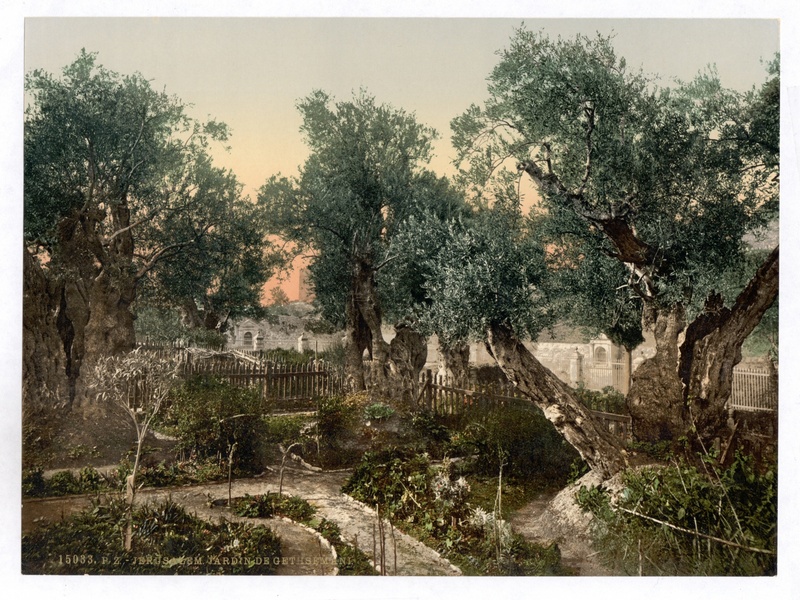 The garden sits at the foot of the Mount of Olives and overlooks the Eastern Gate and wall of Jerusalem. The olive trees in the garden are said to be over 2000 years old. As you enter the garden there is a feeling of calm and release of spiritual love. Realizing the prayerful agony Jesus sustained brings sorrow to ones heart. We were able to partake in communion. A time to reflect upon the upcoming days of horrible pain, knowing of the triumphant resurrection of our living Savior. The glorious resurrection is why we celebrate Easter. We as Christians sing praises and rejoice with love, joy, and beauty. The tomb is empty! Hallelujah!! Calvary’s mournful mountain climb; There, adoring at His feet. “It is finished!” Hear the cry; Learn of Jesus Christ to die. All is solitude and gloom; Who hath taken Him away? Christ is risen! He meets our eyes: Savior, teach us so to rise.